Stamford, CT - This summer, dozens of Stamford children are experiencing the joy of the big top in a whole new way – as performers. 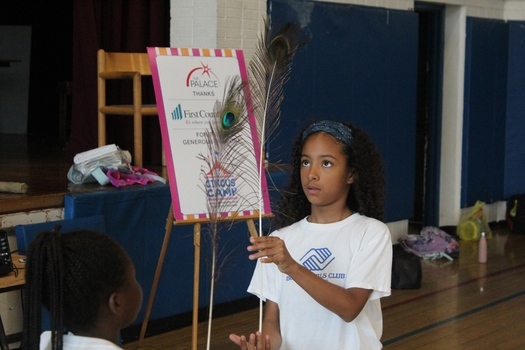 Circus Camp at The Palace, in a partnership with the Boys & Girls Club of Stamford, brought the circus arts to the Yerwood Center in Stamford for the third consecutive year. The Palace Theatre provided scholarships to 30 children in first through third grade through a grant from the First County Bank Foundation, Inc. Circus Camp at The Palace, held July 23-27, 2018, focused on teaching campers a number of hands on, exciting skills – from juggling and plate spinning to physical comedy and classic slapstick. 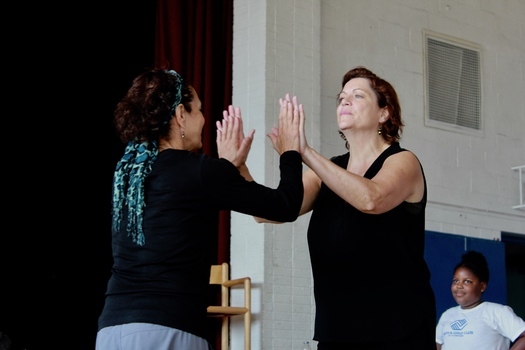 Campers worked closely with two professional circus artists and performers from the Big Apple Circus, Liz Bolick and Therese Schorn, to create original circus and clown routines. Circus Camp at the Palace was made possible through the generosity of the First County Bank Foundation. The Foundation provides charitable contributions to non-profit organizations that support quality of life and educational enrichment for families and children. Its giving reflects the dedication and charitable inclination of First County Bank, its directors, corporators, officers and employees. “First County Bank Foundation is pleased to provide funding for a program that brings such joy to local children. What’s better than experiencing the fun of the circus while learning the skills that these big top professionals use when performing,” said Reyno A. Giallongo, chairman and CEO of First County Bank and President of First County Bank Foundation.